Learn skills. Meet other students. Connect with pros. 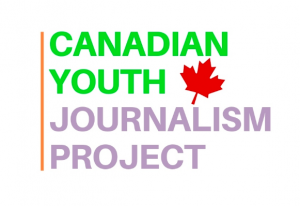 This one-day conference at Ryerson University is a chance for high school students and teachers to learn from working journalists, journalism students, and each other. Who: The conference is open to high school students and teachers. Do you work for your student newspaper or broadcast? Bring copies of your work to share! When: Thursday, October 11, 2018. Registration begins at 8:30 a.m. and the conference runs until 4 p.m.
Where: The Rogers Communication Centre, Ryerson University. 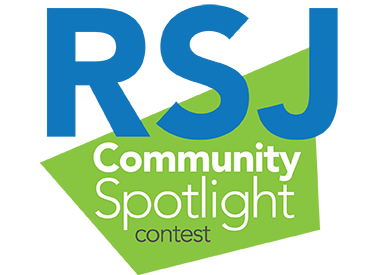 The RSJ is proud to launch a nation-wide high school journalism writing contest called “RSJ Community Spotlight”. 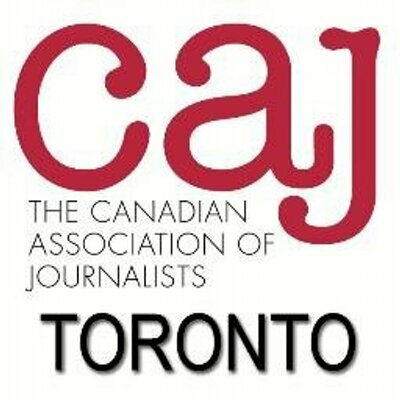 More contest details, including rules and how to submit, will be revealed in early November both here and on the Ryerson School of Journalism website. Reserve your space for this conference on Thursday, October 11, 2018. 8:30 a.m. – 9:00 a.m. Meet in the lobby of the Rogers Communications Centre for registration. You don’t have to be a pro to do amazing work. Meet four young people who took student media to the next level. Sonja Katanic, co-founded art magazine Plasma Dolphin in high school. Room: The Venn, Rogers Communication Centre. CBC Radio host Piya Chattopadhyay has interviewed everybody from politicians to movie stars. She talks about the art of asking questions. Time: 10:10 – 11 a.m. 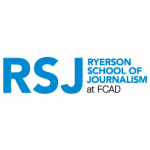 Dive into news reporting with journalist and Ryerson prof Adrian Ma. Writing can take you to a LOT of different places. Angela Misri started her career as a pre-med student. Now she writes YA detective novels and works for one of Canada’s most prominent magazines. Want more people to see your work? Ron Nurwisah from Huffington Post Canada talks about how to use social media to grow your audience and build your brand. Get behind the microphone! Learn to use professional audio recording equipment and try out our recording studio. Learn how to navigate a TV studio and have your chance in front of the camera. Write opinion pieces that will make an impact. From finding a story idea to shaping a story, CBC’s Matthew Braga will take your news reporting to the next level. Everyone has opinions on movies, books and music. But what makes good arts journalism? How do you write a review that people will care about? Now Magazine’s Samantha Edwards takes you through it. Feel like your paper can use some freshening up? The Globe and Mail’s Ming Wong offers tips and suggestions on how to best present stories. Bring a copy of your newspaper or design work for feedback! Enjoy a complimentary lunch while chatting with working journalists and journalism students. 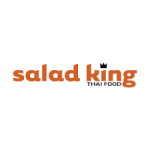 Lunch is kindly donated by Salad King. 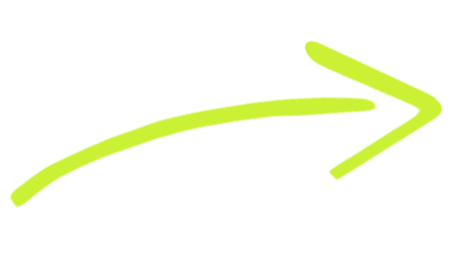 Breakout Sessions C - 1:40 - 2:30 p.m.
From breaking news to personal essays, here’s how to handle anything that comes your way (even if you know nothing about the topic!). 360 and VR video is an emerging form of journalistic storytelling, especially now that the technology to create and edit immersive video content has become more affordable and easier to use. In this session, students will get tips on shooting 360 video for reporting and get a chance to experiment with live 360 video for social media. What pictures can I publish? Can I say that? Learn the legal tips every journalist should know. Where do you find a story? The news director at Global News Toronto talks about finding good stories and deciding what makes the news. Time: 1:40 – 2:30 p.m.
Take your photography to the next level. Ryerson’s Gary Gould will show you tips and tricks for capturing better visuals. Are you part of a high school publication or media club? Interested in starting one? The student roundtable is a chance to talk to students at other schools and share your tips and experiences. Piya Chattopadhyay is the host of OUT IN THE OPEN, an adventurous and wide-ranging weekly one-hour radio program on CBC Radio One, that brings you real talk about real life. Each week Piya and her team explore how one big topic is affecting regular people, and invite challenging perspectives into the conversation. She is also the regular Friday host of CBC Radio One’s flagship current affairs program, THE CURRENT. Piya has been an on-air fixture in broadcasting for two decades as a reporter and host, for both radio and TV, in Canada and abroad. She worked as a guest host for TVO’s The Agenda for several years. Prior to that, she was Fox News Radio’s Middle East correspondent, based in Jerusalem. During her three years in the region, she covered war and conflict, peace and politics, and people coping with everyday life. Piya has reported from many international locations including Sri Lanka, Afghanistan, India, Israel, Lebanon, Egypt, the Palestinian territories, Kenya, the United Kingdom and France, to name but a few. Craig Silverman is the editor of BuzzFeed Canada and the founder of Emergent.info, a real-time rumor tracker that was developed as part a fellowship with the Tow Center for Digital Journalism at Columbia University. Silverman also founded Regret the Error, a blog about media accuracy and the discipline of verification. It’s now part of the Poynter Institute for Media Studies, where he serves as adjunct faculty. Silverman edited the Verification Handbook and the Verification Handbook For Investigative Journalism from the European Journalism Center. He is a the former managing editor of PBS MediaShift and has been a columnist for The Globe And Mail, Toronto Star, and Columbia Journalism Review. Ron Nurwisah is a senior editor for audience development at HuffPost Canada. His day-to-day work includes far too much time watching social media and cute dog videos. He also has a soft spot for a well written email newsletter. He can be found on twitter @boyreporter. Angela Misri is a Toronto journalist, and the Digital Director at The Walrus. She also writes fiction, and is the author of The Portia Adams Adventure series. Mackay Taggart is the News Director for Global News Toronto, leading and managing the planning, production and presentation of Global Toronto’s television news broadcasts. Starting as a high school radio intern, Mackay has obtained a diverse range of journalistic experience throughout his career; serving as producer for multiple news programs on both radio and television, and having previously worked for a year in Sierra Leone as a journalism trainer for NGO Journalists for Human Rights. Arshy Mann is a journalist and the host of Canadaland Commons. A displaced Vancouverite, he has written about crime, business, law, race, LGBT issues and politics for many of Canada’s biggest outlets. Stefanie Phillips is a young reporter inspired to share stories that matter to Canadians. She has been cultivating a career in multimedia reporting since 2013 and is currently finishing a degree in journalism at Ryerson University. After working for CJRU 1280 in Toronto, Stefanie fell in love with audio storytelling and has been pursuing a career in radio and podcasting ever since. She is now a podcast editor at Frequency Podcast Network by Rogers Media and recently did an internship at Metro Morning on CBC Radio. Let her follow you around with a microphone and challenge her to find the perfect music for your #mood. Jacob Dubé is the Editor-in-Chief of The Eyeopener, Ryerson’s independent student newspaper, where he was part of the investigative team behind the uncovering of bed bugs in a Ryerson classroom. 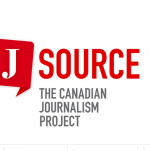 He’s previously worked with the Ryerson Review of Journalism, Vice, and The Montreal Gazette, covering politics, technology, and environmental issues. He also co-hosts Radio Free Krypton, a comic book radio show that airs on 1280 AM in Toronto. Michal Stein is a freelance journalist whose work has appeared on TVO.ca and the Ryerson Review of Journalism website. She also co-produces Bechdel Tested, a women-centric film and panel series at the Revue Cinema. She can often be found wandering around Toronto, listening to podcasts. John Fraser, is the NNC’s executive chair. 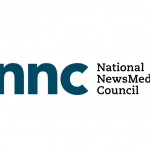 Until April 2018, he served as the founding president and CEO of the National NewsMedia Council. He is a Canadian journalist, writer and academic. He was editor of Saturday Night magazine from 1987 to 1994, where he pioneered the use of mixed circulation. He started his journalism career as a teen-aged copy boy for the Toronto Telegram, and became a noted dance and theatre critic. He has been a columnist, China correspondent, Ottawa bureau chief, national columnist, national editor and London correspondent at The Globe and Mail. He is the recipient of multiple national journalism awards, and was chair of the Canadian Journalism Foundation until 2008. John served as Master of Massey College from 1995 until his retirement in 2014, and taught a course on the history of newspapers at the University of Toronto. Ming Wong is an assistant art director at The Globe and Mail, where she designs news pages and creates visuals. She was previously managing editor, print of The Ubyssey, the campus paper for The University of British Columbia. Her high school yearbook teacher would be proud she still uses the trifecta (Adobe InDesign, Photoshop and Illustrator) on a daily basis. Travis Dhanraj is the Queen’s Park Bureau Chief for Global News, leading the network’s coverage of Ontario provincial politics. Travis is a familiar face to viewers in the GTA and to politicians at Queen’s Park having previously spent nearly a decade as a reporter and anchor with both CP24 and CBC News in Toronto. Possessing significant experience in entertainment, politics, and breaking news, Travis has reported on wide array of key events including the November 2016 U.S. election, the Jian Ghomeshi trial, Canada’s 2015 Federal Election, and Rob Ford’s mayoralty; beginning his career as part of the core team that brought Entertainment Tonight to Canada, Travis has reported as far and wide as Africa, where he travelled with legendary musician Tom Cochrane to produce a feature about the humanitarian efforts of Canadians overseas. Erica Lenti is a Toronto-based writer and editor. She is currently the editor of This Magazine, a publication focused on Canada’s progressive politics, arts, and culture. In the past, she has written for the Walrus, the Globe and Mail, Reader’s Digest Canada, Toronto Life, and Hazlitt. She is a graduate of the Ryerson School of Journalism. Samantha Edwards is a staff writer at NOW Magazine, where she writes about music, film, books, art and local politics. She’s also a freelance journalist who has written for FASHION magazine, Hazlitt, the Globe and Mail and Toronto Life. Sonja Katanic is the co-editor-in-chief of the art & literature magazine Plasma Dolphin (plasmadolphin.com), which she founded with her co-founder Emma Cohen when they were in high school. Last summer, after four years of publishing content online, Plasma entered the tangible world of print with the first ever print issue, Participation Mystique. She is now a fourth-year design student at the University of Waterloo, focusing on user-centric design, illustration and finishing up Plasma’s second print issue, Bad Faith to be released this fall. She also knows a lot of weird facts and likes to pull pranks. You can find more about her at her website, sonjakatanic.com. Lisa Taylor is an Assistant Professor and Undergraduate Program Director in Ryerson University’s School of Journalism. Taylor holds both an LLB and an Master of Laws from the Schulich School of Law, Dalhousie University. She previously practiced with the firm of Merrick Jamieson Sterns Washington & Mahody in Halifax, and remains a member of the Law Society of Upper Canada and the Nova Scotia Barristers’ Society. A former CBC Radio and Television journalist, Taylor’s award-winning work includes a Gemini nomination, a B’nai Brith Media Human Rights Award and the “Best of Festival” prize from the Yorkton Film Festival. She continues to lead professional development workshops for CBC journalists across Canada. Taylor sits on the Canadian Association of Journalists’ Ethics Advisory Committee, the Canadian Centre for Court Technology’s Intelaction Working Group, and is a former member of the board of LEAF (the Women’s Legal Education and Action Fund). Matthew Braga is a senior technology reporter for CBC News where he covers stories about privacy, security, data collection, surveillance, and artificial intelligence. He was previously the Canadian editor of VICE Media’s science and technology website Motherboard, a technology reporter for the Financial Post, and a freelance writer for Bloomberg Businessweek, BuzzFeed, The Globe and Mail, The Walrus, Fast Company, and Ars Technica, among others. Emma Wai is the Editor in Chief of The Reckoner, Marc Garneau C.I.’s student-run school newspaper. The Reckoner publishes regularly through its website as well as bi-monthly paper editions distributed in the school community. Prior to becoming Editor in Chief, Emma wrote for the paper’s News and Editorial boards and Olympic and World Weekly columns. Sonya is an assistant professor at the School of Journalism at Ryerson University. She has an extensive background in international reporting and writing, having worked as a journalist in India, Pakistan, South Africa and Canada. She has written for numerous Canadian publications, including the The Globe and Mail, Toronto Star, Maclean’s and The Walrus. For eight years Sonya was based in New Delhi where she worked as India correspondent for the Boston-based web publication, Globalpost.com (now Public Radio International) and also wrote a column on India Pakistan-related issues for The Times of India. She has also produced radio and feature film documentaries. She has a Master of Science degree from Columbia University’s Graduate School of Journalism in New York and a Master of International Affairs also from Columbia. Sonya’s research interests include nationalist discourse and its influence on foreign and local coverage and the impact of youth journalism projects in vulnerable communities. 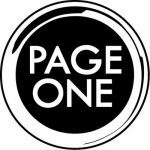 I am currently a third-year journalism student at Ryerson, and I’m excited to say I’ll be going on exchange in the winter semester. I started my journalism career as a sports writer and photographer for the Eyeopener, and have since branched out to film review and news reporting as a film editor at CanCulture and a writer with the Unaffiliated Press, although photography still holds a special place in my heart. I’m unsure the exact path I want my career to go, but if National Geographic comes knocking, I’d jump at the chance. Gary is a professional cinematographer, editor and photographer. He is also a PADI-certified underwater photographer and videographer. Gary joined the School of Journalism in 1988 after working at CBC’s flagship current affairs program, The Journal. For 13 summers, Gary taught media courses (both Television Journalism and Film Studies) at the Oxford Media School in Oxford, England and recently taught in Mexico. His credits include productions for CBC, CTV, the National Film Board of Canada, Discovery Channel, Toronto EMS, the Mayor of Toronto, the Canadian National Exhibition, and various Christian mission agencies around the world. He has worked in Africa, Albania, the Amazon, Europe, the Philippines, Hong Kong, Japan, Taiwan, Mexico and Nicaragua. Gary has a PhD in Communications from Regent University in Virginia. His dissertation examined television and film heroes and how audiences identify with them through costumes. He has a Master of Theological Studies from Tyndale College and Seminary and a B.A.A. from Ryerson’s RTA program. Gary provides production and technical support to all students and teaches JRN 310, Video Production Techniques.